Ryan Conrad is an outlaw artist, terrorist academic, and petty thief who recently expatriated to Montreal from a mill town in central Maine. 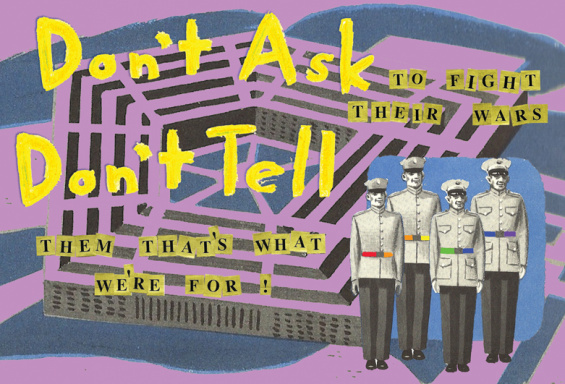 In 2009, he co-founded Against Equality, a digital archive, publishing, and arts collective, and he has edited the group’s two anthologies, Against Equality: Queer Critiques of Gay Marriage and Against Equality: Don’t Ask to Fight Their Wars. His other written and visual work is archived online at faggotz.org. He is currently pursuing a PhD in Sexuality Studies at Concordia University. Against Equality is an online archive, publishing, and arts collective focused on critiquing mainstream gay and lesbian politics. As queer thinkers, writers, and artists, they are committed to dislodging the centrality of equality rhetoric and challenging the demand for inclusion in the institution of marriage, the US military, and the prison industrial complex via hate crimes legislation.